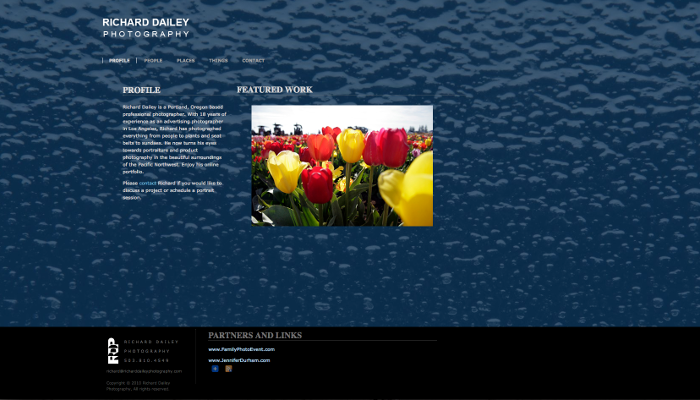 Creating websites that get results. 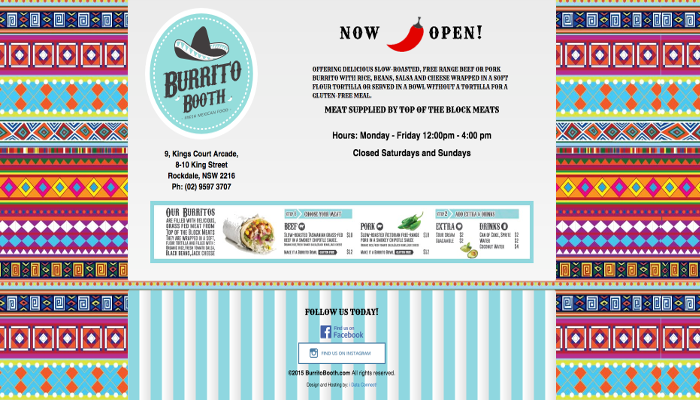 A small sample of happy client websites. 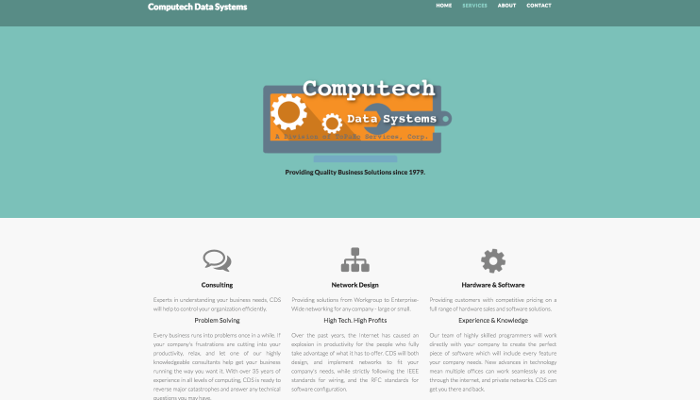 This computer consulting firm was in need of a fresh website design and business branding. Clean, responsive, CSS and HTML5 developed. Logo design and copywriting services providing them with an all-in-one experience. 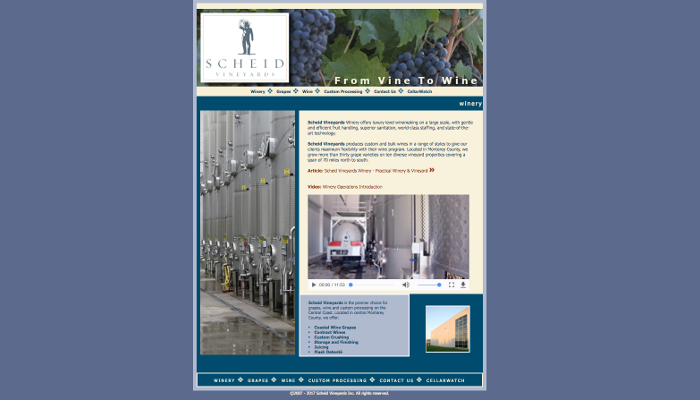 Created vineyard-specific software and a fully deployed harvest inventory system & e-commerce for one of the largest independent growers of premium wine grapes. Provided early website design and graphics. 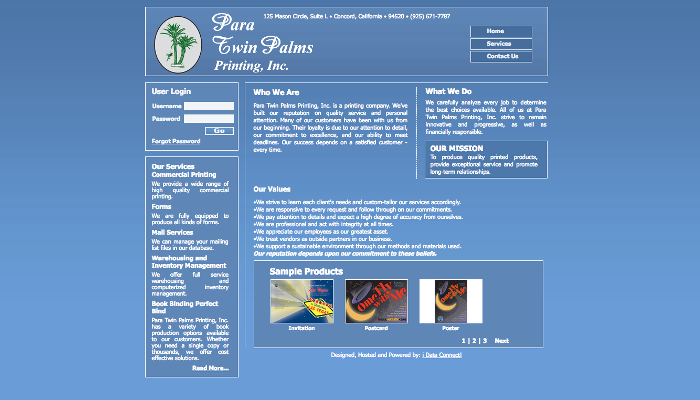 Fully administerable Java web portal allowing customers to order printed business cards and stationary. Non-responsive early website design. 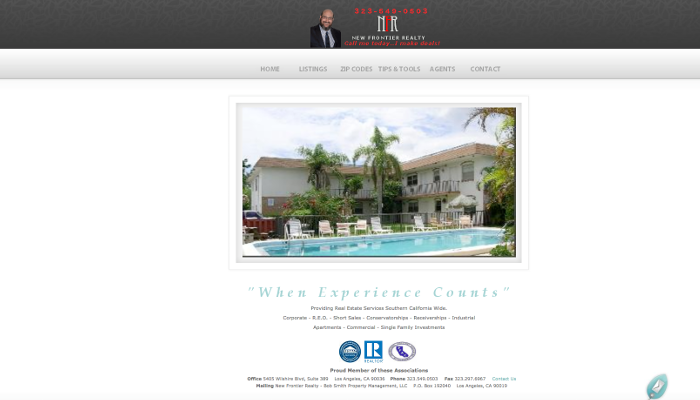 One of many custom written back-end self administrable real estate websites. Image uploading, printable flyers, connectivity to RETS. Custom written mortgage tools. Business branding, logo design. Early website development. Full backend administration panel for image uploading. XHTML, JQuery driven design.